The top is in varnished beechwood or in laminate with two drawers for storage. 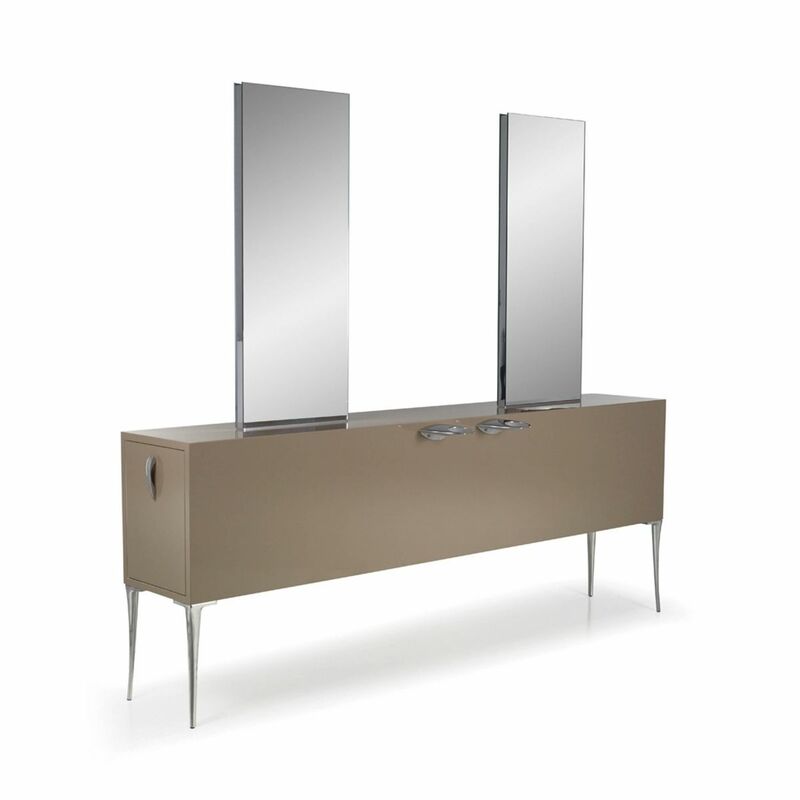 It comes with four rectangular-shaped mirrors on silver laminate panels. It also hand-dryer holders and legs in polished aluminum. The Central wires box in stainless steel. Made in Italy.